Two supporting actors on popular television comedies died this week on the same day - Russell Johnson and Dave Madden Although they were not leading men, both made an impact. The Professor was a good-looking but nerdy academic, an exaggerated stereotype of the man of capacious intelligence with little or no social awareness. Occasionally approached romantically by Ginger (and guest stars, including Zsa Zsa Gabor), he remained chaste and unaffected. But he was pretty much the only character on the show who possessed anything resembling actual knowledge, and he was forever inventing methods to increase the castaways’ chance of rescue . 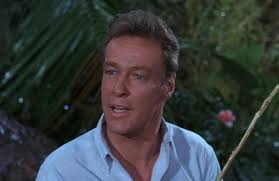 . .
Russell Johnson, the actor who portrayed The Professor on Gilligan's Island, passed away on January 16, 2014 at the age of 89. He died from kidney failure at his home on Brainbridge Island in Kitsap County, Washington. Johnson was the only surviving male member of the cast of Gilligan's Island. The CBS comedy only lasted for three seasons (1964-1967) and it was widely panned by television critics. Yet the show found a new audience in reruns and became something of a cult classic. It was especially popular with children. Gilligan's Island chronicled the adventures of seven castaways as they attempted to survive and escape from a tropical island on which they were shipwrecked after a storm. The uncharted island was located somewhere in the Pacific. Alan Hale, Jr. portrayed the captain of their small touring boat, the S.S. Minnow. The captain's name was actually Jonas Grumby but he was known as The Skipper. Alan Hale, Jr. died in Los Angeles on January 2, 1990 at the age of 68. The cause of his death was cancer of the thymus (a specialized organ of the immune system). Bob Denver, who played the title role of the bumbling first mate, Gilligan, passed away on September 2, 2005 at the age of 70. He died due to complications from cancer at a hospital in Winston-Salem, North Carolina. 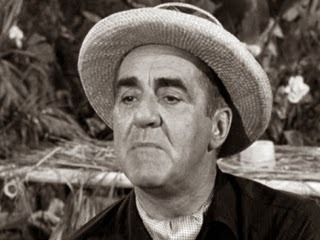 The part of millionaire Thurston Howell III was played by veteran actor Jim Backus, best known as the voice of Mr. Magoo. Backus died in Los Angeles, California on July 3, 1989. He was 76 years old and had suffered from Parkinson's disease. Natalie Schafer portrayed Howell's vapid wife, Eunice "Lovey" Wentworth Howell. Schafer died of cancer at her home in Beverly Hills on April 10, 1991. She was 90 years old. The only surviving cast members are Tina Louise and Dawn Wells. Tina played the role of Ginger Grant, the movie star, and she had disagreements with producer Sherwood Schwartz over the portrayal of her character. The actress, singer and author is now 79 years old. Dawn Wells, now 75, played Mary Ann Summers, a farm girl from Kansas. On the day of Russell Johnson's death, Wells posted a message on Facebook. She wrote ,"My 2 favorite people are now gone. The professor past (sic) away this morning. My heart is broken." (Dawn's other "favorite" person is Bob Denver). Most people do not recall The Professor's real moniker. He was a high school science teacher named Roy Hinkley. Hinkley constructed generators and other gadgets out of scraps of junk found on the remote Pacific island. Johnson later joked that although The Professor could make a radio from a coconut, he one thing he never figured out how to do was to repair the leaky boat so that the castaways could return to civilization. It didn't happen because a return to civilization would have meant the end of the show. The Professor and Mary Ann were not named in the opening credits of Gilligan's Island during the first season. In fact, their characters were ignored in the show's theme song. They were simply dismissed as "the rest." Complaints were made about the snubbing of the two cast members and the error was rectified at the start of the second season. Russell David Johnson was born on November 10, 1924 in Ashley, Pennsylvania, one of the seven children of farmers Russell J. and Minnie K. Johnson. Following the death of his father, he and his brothers were sent to Girard College, a boarding school in Philadelphia. After high school, with World War II raging, Russell joined the United States Army Air Forces. He became a navigator and bombardier aboard a B-24 Liberator. His plane was shot down over the Philippines in 1945 and he fractured both of his ankles in the crash. Johnson served with much distinction and earned a number of military awards, including a Purple Heart. Upon receiving an honourable discharge (with the rank of First Lieutenant) in November of 1945, he used his G.I. funding to study acting at the Actors Labratory in Hollywood, California. Russell Johnson appeared in two episodes of Rod Serling's classic Twilight Zone series during the early 1960s. In a 1960 episode entitled ""Execution," he portrayed a scientist who, while experimenting with his time machine, accidentally retrieves a 19th century murder. In a 1961 episode entitled "Back There" (Season 2, Episode 13, Air Date: January 13, 1961, he played a man who, after arguing about whether it's possible to change history by going back in time, finds himself in 1865 on on the eve of Lincoln's assassination. In 1964, when the opportunity to play The Professor on Gilligan's Island came along, Johnson was reluctant to take on the role. He turned down the part twice.and only agreed to it after his chances for starring roles on other series fell through. In a 2004 interview with the Archive of American Television, Johnson stated that he "didn't want to be one of seven (cast members)." After Gilligan's Island, Russell had guest roles in a number of TV series. In 1970, he appeared in an episode of The Big Valley entitled "The Good Thieves" (Season 3, Episode 16, Air Date (January 1, 1968). In 1970, he portrayed a character named Jon in two episodes of That Girl, starring Marlo Thomas. In the episodes, "Fly by NIght" (Season 4, Episode 18, Air Date: January 29, 1970) and "Ugly Wilderness" (Season 4, Episode 19, Air Date: February 5, 1970), aspiring New York actress Ann Marie (Marlo Thomas) and her boyfriend Don Hollinger (Ted Bessell) fly to her father's cabin in Vermont. They are forced to make an emergency landing when their plane runs out of gas. Russell played Dr. Leonard Colman in a 1971 episode of the medical drama Marcus Welby, M.D. entitled "I Can Hardly Tell You Apart" (Season 3, Episode 4, Air Date: October 5, 1971). That next year, he appeared as Martin Lucas in an Ironside episode, "Programmed for Panic" (Season 6, Episode 3, Air Date: September 28, 1972). He continued to make guest appearances throughout the 1970s - on Cannon (1974) (1975), McMillan & Wife (1977), Police Story (1978), Wonder Woman (1978) and Lou Grant (1978). From 1971 to 1973, Johnson had a recurring role as Assistant District Attorney Brenton Grant in eight episodes of the legal drama Owen Marshall, Counselor at Law. During the 1980s, Russell Johnson had guest roles in a two-part episode of The Jeffersons (1982) and in single episodes of MacGwyer (1986) and Newhart (1987), Knot's Landing (1987) and My Two Dads (1989). He also appeared as character named Earl Thompson in two episodes of Dynasty - "The Arrangement" (Season 7, Episode 5, Air Date: November 5, 1986) and "Shadow Play" (Season 7, Episode 28, Air Date: May 6, 1987). In 1986, Johnson portrayed Sheriff Wyatt Mansfield on an episode of Dallas entitled "Twemty-Four Hours (Season 9, Episode 16, Air Date: January 10, 1986). During the 1990s, Russell was considerably less active. He portrayed Dr. Jesse Butler in a 1992 television movie called With a Vengeance, a thriller starring Melissa Gilbert. In 1995, he appeared in an episode of Roseanne entitled "Sherwood Schwartz - A Loving Tribute" (Season 7, Episode 25, Air Date: May 24, 1995) along with Bob Denver and Tina Louise. Part of the episode is a fantasy sequence in which Gilligan's Island is parodied by the cast of Roseanne. There were also three Gilligan's Island TV movie sequels in which Russell appeared: Rescue from Gilligan's Island (1978), The Castaways on Gilligan's Island (1979) and The Harlem Globetrotters on Gilligan's Island (1981). Russell Johnson was married three times. His first marriage to Edith Cahoon (from 1943 to 1948) ended in divorce. On July 23, 1949, he married his second wife, Kay Levey, whom he had met at acting school. Russell and Kay had two children, a son named David and a daughter named Kim. David Johnson, an AIDS activist, died of complications from the disease on October 27, 1994. He was 39. Kay Levey passed away in Century City, California on January 20, 1980. Russell then married Constance "Connie" Dane in 1982 and they remained together until his death. Russell Johnson published his autobiography, Here on Gilligan's Island, in 1993. He is survived by his wife, Connie, daughter Kim, a stepson named Court Dane and a grandson, Max. I try not to look back on my career. I told somebody this one time and I'll tell you. I never did anything as an actor that I was extremely proud of. I wish I could look back and say, OK here was a TV show or a movie that I thought was so perfect for me, or I did such a good job that if I died tomorrow at least I could say I left that as my legacy. But there isn't anything that falls into that category. So, from that point of view I suppose the career was a disappointment. The Partridge Family has lost its manager. Canadian-born Dave Madden, who played Reuben Kinkaid, the family's agent on the 1970s sitcom, passed away on January 16, 2014. Madden died at a hospice in the Jacksonville, Florida area, He was 82 years old. David Joseph Madden was born in Sarnia, Ontario on December 17, 1931, the son of Verna and Roger Madden. He was the youngest of four siblings, one of whom became a nun (Sister Mary Roger, born in 1919). Dave's early childhood was spent in Port Huron, Michigan. In 1939, however, he was sent to live with his Aunt Bess and Uncle Frank in Terre Haute, Indiana. Madden started his show business career as a nightclub comic before finding success on television. He first recurring role on a TV series was as Counselor Pruett in Camp Runamuck, a short-lived NBC comedy about hijinks at a summer camp for boys. It was located across the lake from a camp for girls and many pranks were exchanged in a battle of the sexes. 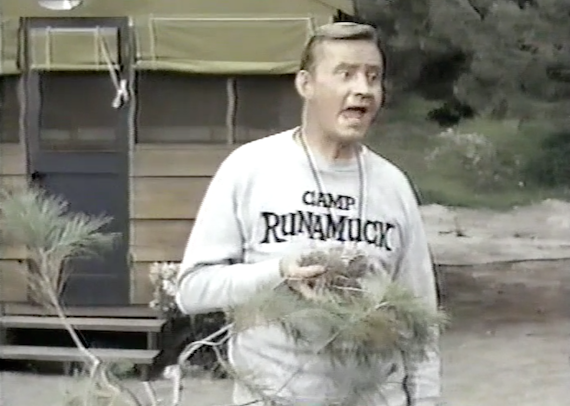 Camp Runamuck only lasted one season from 1965 to 1966 and only 26 episodes of the show were produced. 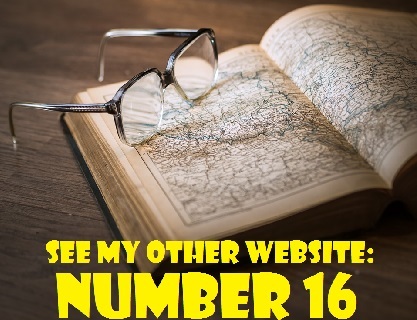 Dave Madden appeared in 17 of them. Dave began to make a name for himself in the late 1960s. From 1968 to 1969, he was a regular performer on the popular variety/comedy show Rowan & Martin's Laugh-In. He is particularly remembered for his comic portrayal of a milk-drinking, milk spilling sad sack The actor also appeared in two episodes of Bewitched, the first in 1967 and the second in 1969. The episodes are "Super Car" (Season 3, Episode 19, Air Date: January 19, 1967) and "Samantha's Shopping Spree" (Season 5, Episode 29, Air Date: April 17, 1969). 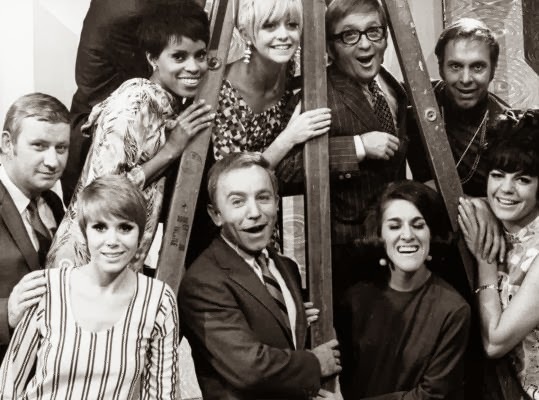 The Laugh-In cast: (bottom) Dave Madden, Judy Carne, Henry Gibson, Ruth Buzzi, Jo Ann Worley; (on ladder) Chelsea Brown, Goldie Hawn, Arte Johnson, and Alan Sues. It was David Madden's role as Reuben Kinkaid, the stressed-out manager of a musical family on The Partridge Family that brought him television fame. The Partridge Family, starring Shirley Jones and her real-life stepson David Cassidy, aired on the ABC network from 1970 until 1974. The show made lead singer Cassidy a teen heartthrob and produced a huge hit with the song "I Think I Love You." Reuben's relationship with red-haired, freckle-faced Danny Partridge, played by Danny Bonaduce, provided much of the humour on the show. The two often clashed and Danny was the source of much frustration for Kinkaid. The precocious pre-teen was a financial whiz, a younger and earlier version of Michael J. Fox's Alex P. Keaton character on Family Ties. Upon learning of Dave's passing, Shirley Jones paid tribute to him. She said, "Dave was a great actor and one of the reasons The Partridge Family worked so well." She told Variety that he "made the show." "His relationship with Danny Bonaduce is what made the show work: this strange, mad little boy and the grown man who was even worse as a father figure. It was hysterical!" 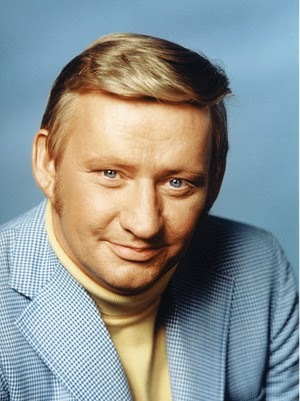 Although Reuben Kinkaid was constantly annoyed by Danny and the other Partridge Family children, Shirley claimed that off-camera he "loved kids." Danny Bonaduce reacted to Madden's death with some comments on Twitter. He said, "Dave Madden was a great guy & like family to me. He taught me to drive a car when I was 10. One of many good memories. I'll truly miss him." After The Partridge Family, Dave guest-starred on such shows as Happy Days (1974), Starsky and Hutch (1977), Barney Miller (1978), The Love Boat (1978) and Fantasy Island (1979). From 1978 to 1985, he had a recurring role as Earl Hicks, a customer at Mel's Diner on the sitcom Alice. During the 1980s, Dave made appearances in episodes of Still the Beaver (1986) and Life with Lucy (1986). In 1992, he reprised his role as Reuben Kinkaid on a pilot for The Ben Stiller Show (Season 1, Episode 1, Air Date: September 27. 1992) and he made an appearance as a manager on Married . . .with Children in 1994. In 1998, he appeared in an episode of Sabrina, the Teenage Witch entitled "Good Will Haunting" (Season 3, Episode 6, Air Date: October 30, 1998). In more recent years, he did voicework for video games. Dave Madden was married twice. In 1975, he married Nena Arnold. The couple adopted a daughter, Selena, and had a son named Peter Michael. They divorced in 1985 and Dave went on to wed his former college sweetheart Sandy Martin. He and Sandy married on May 28, 1998 and remained together until his death. By the way, I am absolutely not related to Dave Madden. Other than the same last name, the only thing we have in common is that we were both born in Ontario. 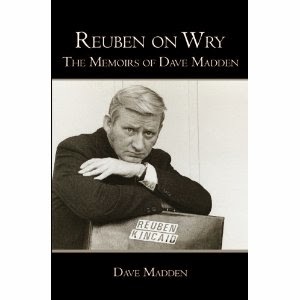 Dave Madden wrote a 2007 autobiography titled Reuben on Wry: The Memoirs of Dave Madden.